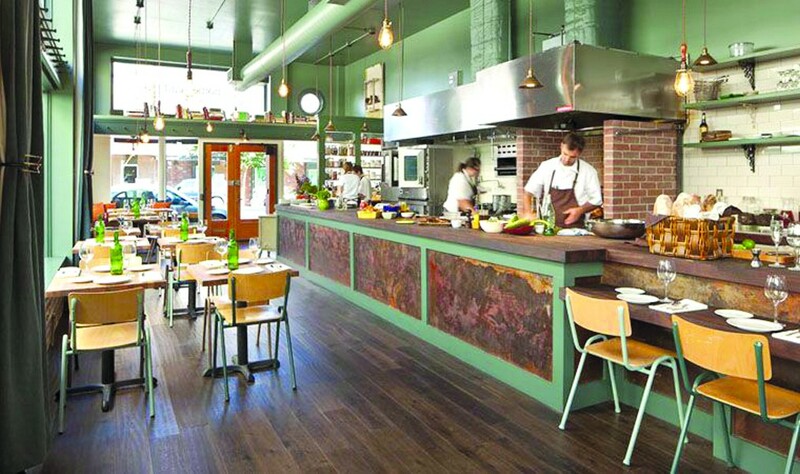 The open kitchen at Homestead. For those culinary overachievers among us, Labor Day weekend is just another opportunity for overly ambitious backyard-grilling adventures. But if you’re planning to spend at least one meal just relaxing, consider doing it at Homestead (4029 Piedmont Ave.), which over the past several years has carved a niche for itself as one of Oakland’s go-to spots for holiday and pre-holiday feasts — for Easter Sunday, the Wednesday before Thanksgiving and, yes, the Sunday before Labor Day. This year’s three-course prix-fixe barbecue meal will include smoked brisket, baby back ribs, corn on the cob, baked beans, and strawberry shortcake. Service is included in the $55 price; beverages are not. Make a reservation via UrbanSpoon.com or by contacting the restaurant directly.